Bob Spelten Jr. has removed the trial limitation for SuQcess 2.05 on his site. This means it’s now effectively free. 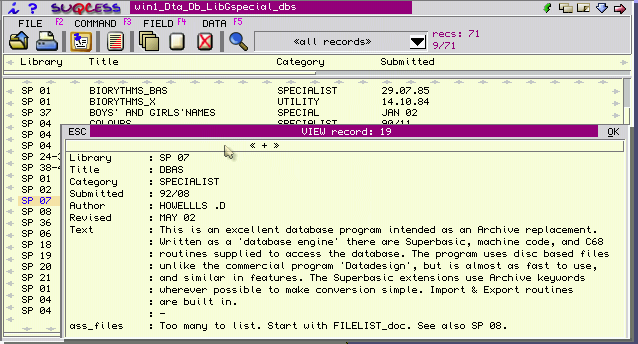 SuQcess is based on the Dbas database engine. This entry was posted in News and tagged SuQcess on 30/04/2017 by Dilwyn.